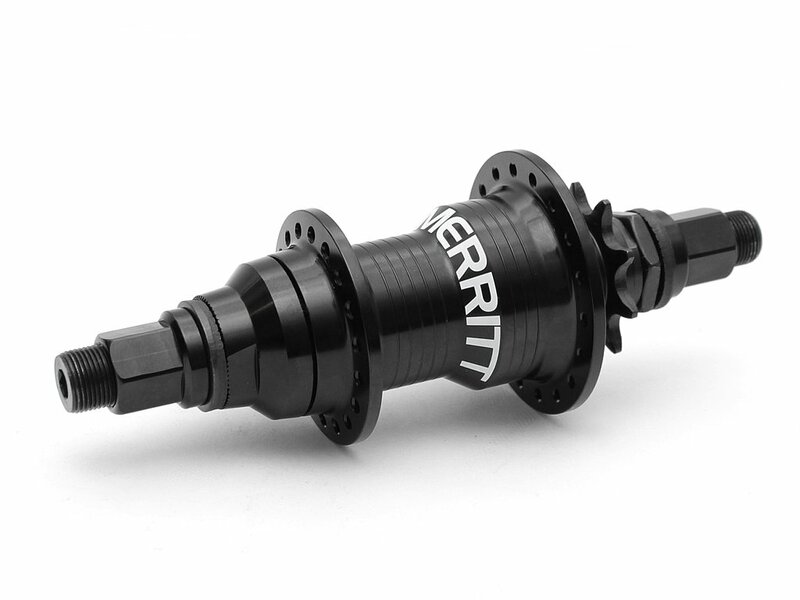 The Merritt BMX "Final Drive" Freecoaster used a traditional clutch style system paired with Merrit 9T Diamond Driver. The Diamond driver replaces the small bearings, the most common source of failure in freecoasters, with polymer bushings along its entire length. 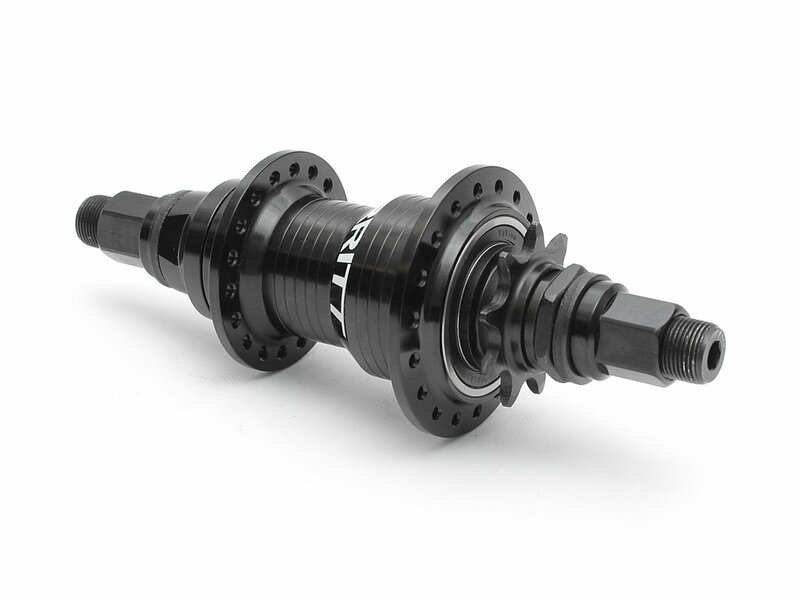 The hub shell is super slim and CNC’d 6061 aluminum with a hollow chromoly axle. The hub comes set with maximum slack (we recommend running it like this) but adjustment washers are included to reduce slack if desired. Available in RHD and LHD.